Highland Academy uses the NJ Core curriculum as a guideline. It is accentuated with Highland Academy’s curriculum for skill growth and development in literacy (reading and writing), mathematics, science, social science, French, art, music, physical education and computer skills. The foundation of Highland Academy was based upon two main theories. Howard Gardner’s Theory of Multiple Intelligences: Howard Gardner’s theory of multiple intelligences provides the framework for teaching and learning at Highland Academy. At the core of this theory is the recognition that people think and learn differently and that intelligence can be expressed in a multitude of ways. Gardner specifically identifies 8 different abilities: musical–rhythmic, visual–spatial, verbal–linguistic, logical–mathematical, bodily–kinesthetic, interpersonal, intrapersonal, and naturalistic. Our multifaceted approach to teaching incorporates each of the eight major intellectual domains defined by Dr. Gardner and provides opportunities for each student to use his or her unique intelligence to understand the subject matter. William Glaser’s Choice Theory: The classroom management framework comes from William Glasser’s Choice Theory. Behind this theory is the psychology explaining why we behave the way that we do, which is to meet one of the 5 basic needs (to survive, belong, gain power, be free, and have fun). In understanding the reason why children behave the way that they do, we are better able to respond effectively. This requires mutual respect and naturally yields tolerance. 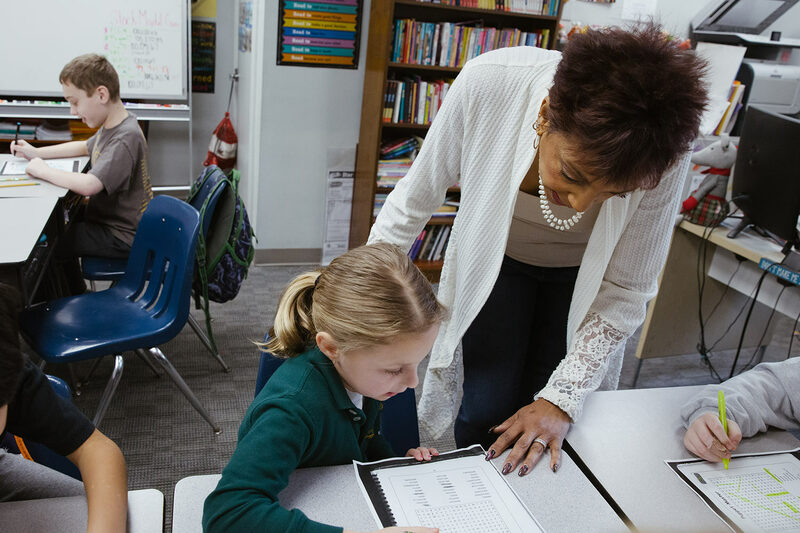 Personalized instruction is at the heart of education at Highland Academy. Teachers encourage and challenge each student to develop effective learning strategies, articulate appropriate expectations and set high standards. Achievement in each discipline is measured against specific developmental benchmarks. All students must build a basic foundation in reading, math, written language and study skills in order to be able to effectively pursue more complex topics of study. 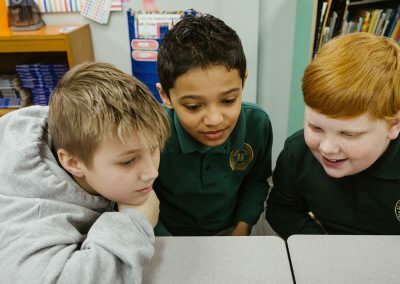 In the early grades, through both direct instruction and experiential learning, students develop skills and strategies in decoding, reading comprehension, math computation and problem solving, handwriting, spelling and speaking. As they progress through school, students receive explicit instruction in research, computer and study skills. If more intensive instruction is needed, on-site individualized tutoring is available. Our multi-age classrooms operate on a collaborative model. Students often work in teams to investigate material, discover information, solve problems, discuss books, write stories, complete projects and teach each other. 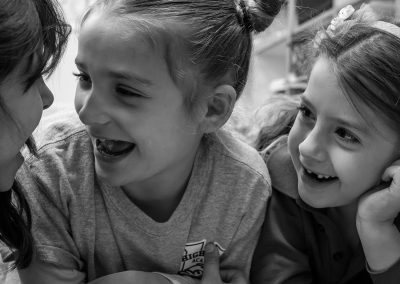 Cooperative learning helps tap the multiple intelligences of each child as it increases academic mastery and helps students develop negotiation, mediation and conflict management skills. An important goal at Highland Academy is to equip students with the skills necessary to contribute and participate meaningfully in the world. We promote core values of respect, compassion, stewardship, integrity, responsibility and striving for excellence. We weave understanding of the natural world and appreciation of human diversity into every aspect of our curriculum. Our classrooms extend far beyond the building. Field trips enhance our studies. Parents, community experts, and other special instructors are often invited to share their expertise. In addition, students are encouraged to design and participate in service projects that allow them to give back to the community. Community service is an integral part of the school and teaches students stewardship. Each class is composed of children of different ages intentionally grouped for learning. 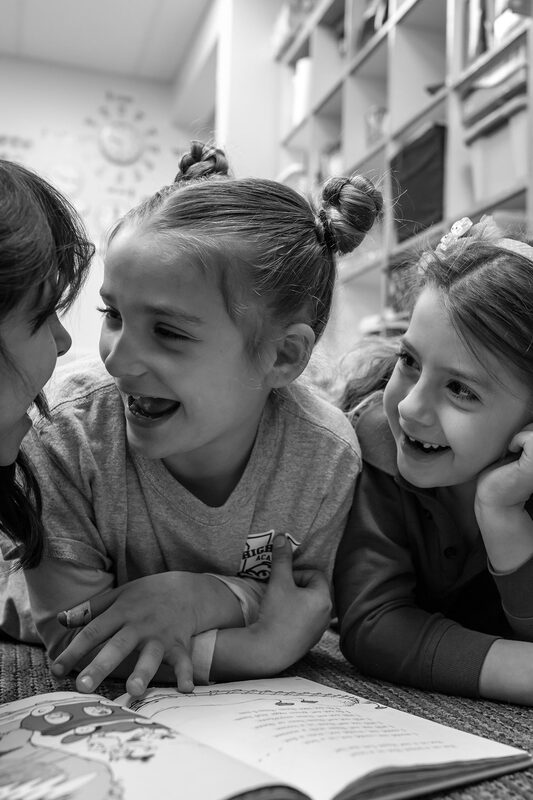 These classrooms are more than just a way of organizing; the class structure gives each child an opportunity to associate and work with others on the basis of skills, abilities, interests, personality and age. Take the focus off meeting the needs of a group of children, and instead focus on meeting the needs of individual learners. Encourage intentionally diverse communities of learners in which differences in individual strengths, needs, and learning styles complement rather than divide. 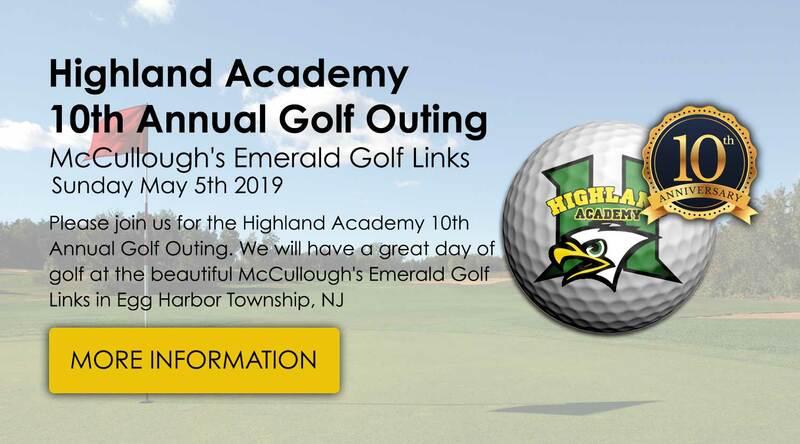 Please call us for more information at 609-652-9500. Looking for a school that will help your child maximize their abilities and excel in their academics? Contact us today to find out how we can help your child learn and grow! 2019 Copyright Highland Academy II. Powered by Synergist Digital Media. Images by Gayeski Photography.